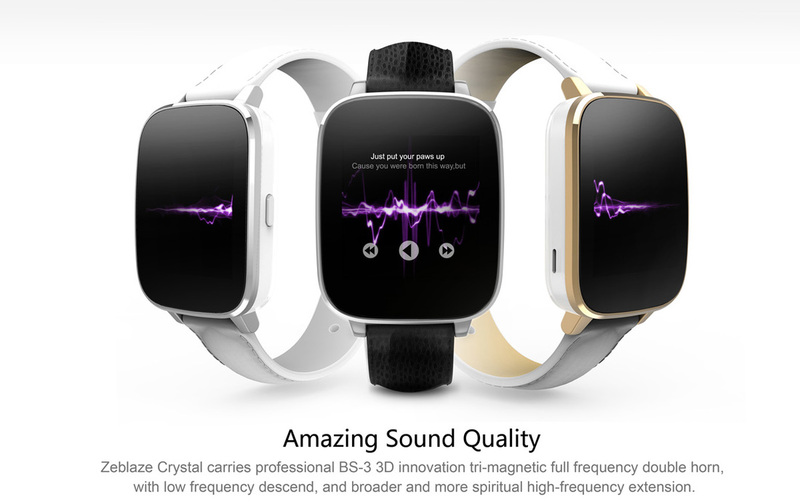 Elegant appearance, powerful function, the combination of beauty and "wisdom". 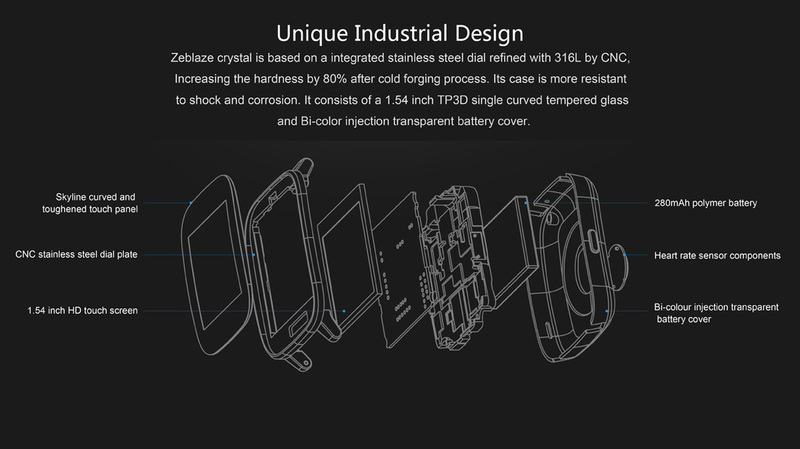 Zeblaze Crystal adopts Bi-color injection molding technology, uses 3D single curved tempered glass mirror and with perfect radian design, let you experience the best skin touch feeling. Zeblaze Crystal is not only beautiful, but also has super strong brain. 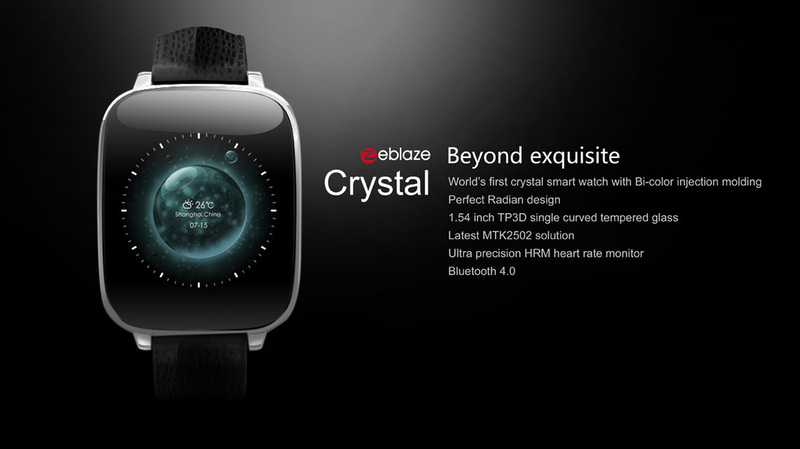 Zeblaze Crystal is equipped with the latest MTK2502 chip, which brings you with powerful function and lets you feel the ultimate convenience of smart watch. 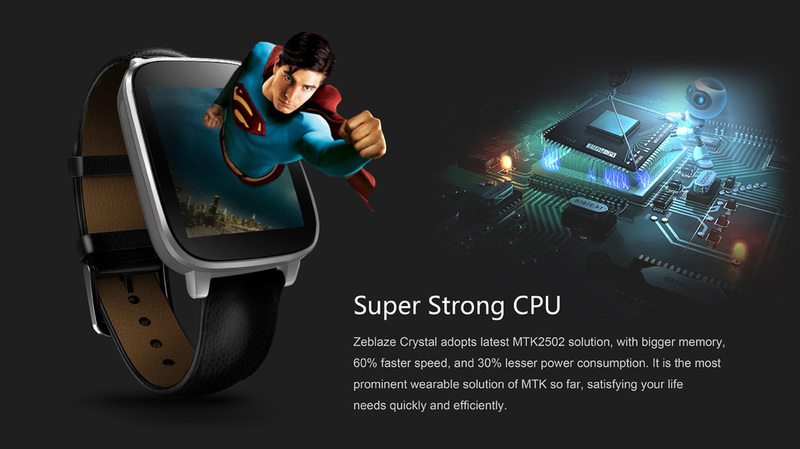 MTK2502 chip with Bluetooth 4.0: Adopting the latest MTK2502 chip, has more perfect compatibility with iOS and Android system than most normal chip. 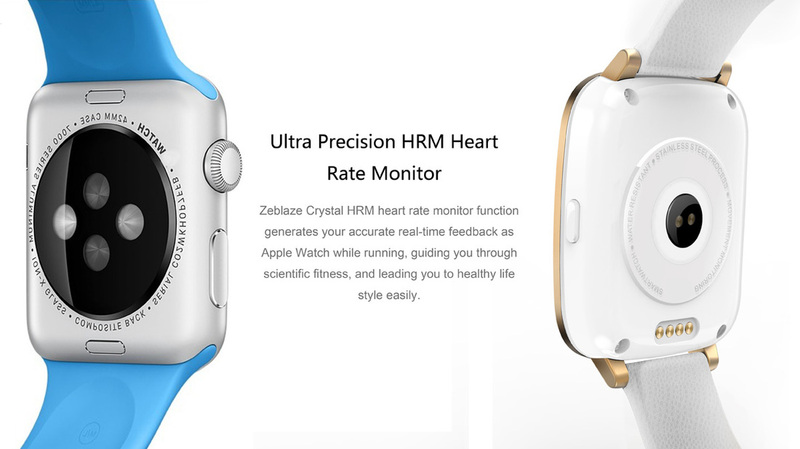 HRM heart rate monitor: Zeblaze Crystal's HRM heart rate monitor function will give you the real-time feedback as Apple watch. 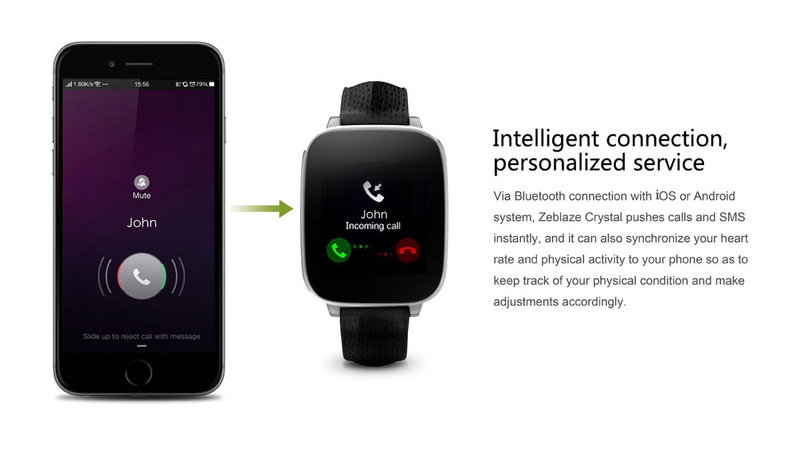 Let you know about your heart rate anytime and anywhere. 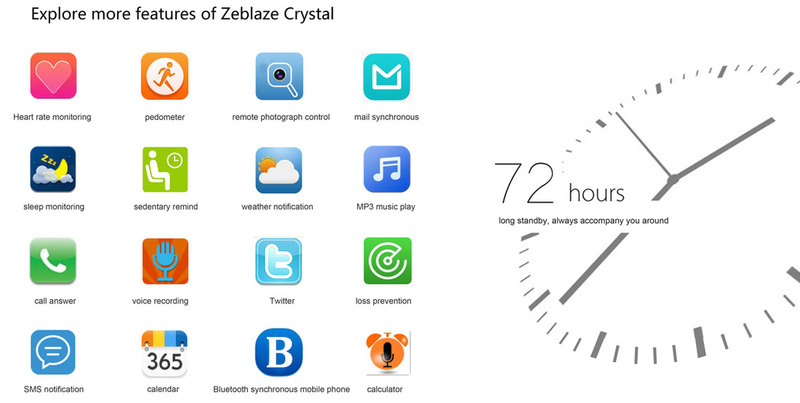 Call / Message reminder: When a call or message coming, Zeblaze Crystal will remind you. Pedometer / Sleep monitor / Sedentary reminder: Taking café of your life, help you develop good living habits. 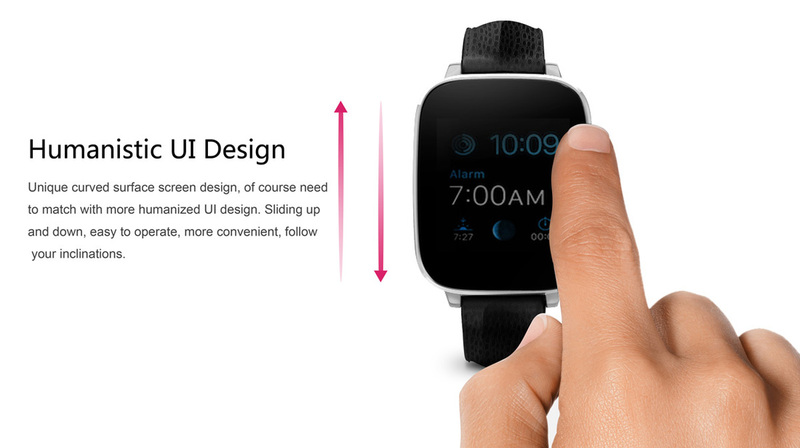 Remote camera / music: Control your smart phone to take phones and play music on your wrist. Information pushing: Can push instant information, such as Twitter, Facebook, Gmail, ZAKER LINE, CNN APP and so on. 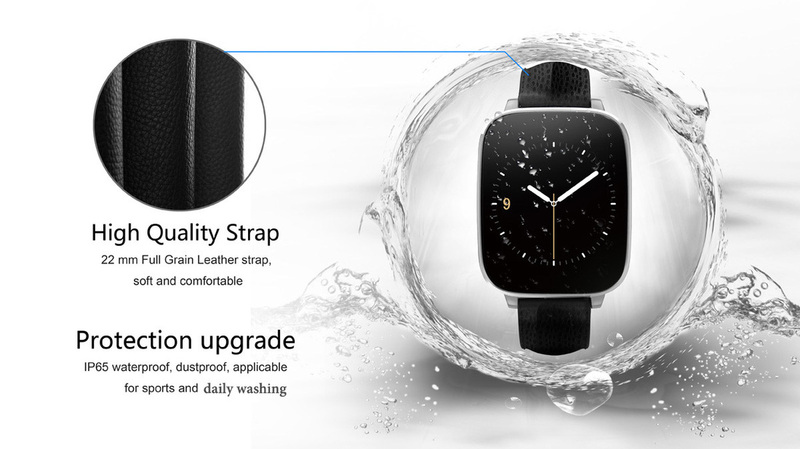 IP65 waterproof: You can wear it to do daily washing, such as wash hands and face. 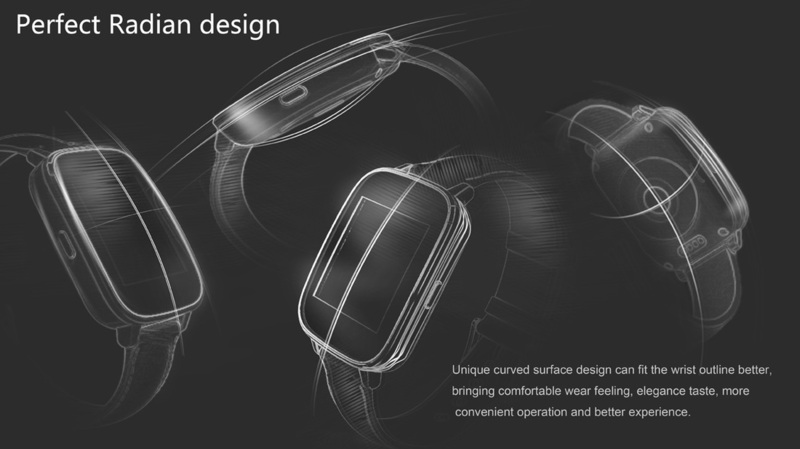 • 3D single curved tempered glass: Using 3D single curved glass, gives you a 150 degrees wide viewing angle. • Bi-color injection molding technology: With transparent Bi-color injection molding processing on the surface, you can experience the best skin touch feeling. • Two kinds of genuine leather band: 22mm bamboo pattern and Lichee pattern genuine leather band, you can make your choice.